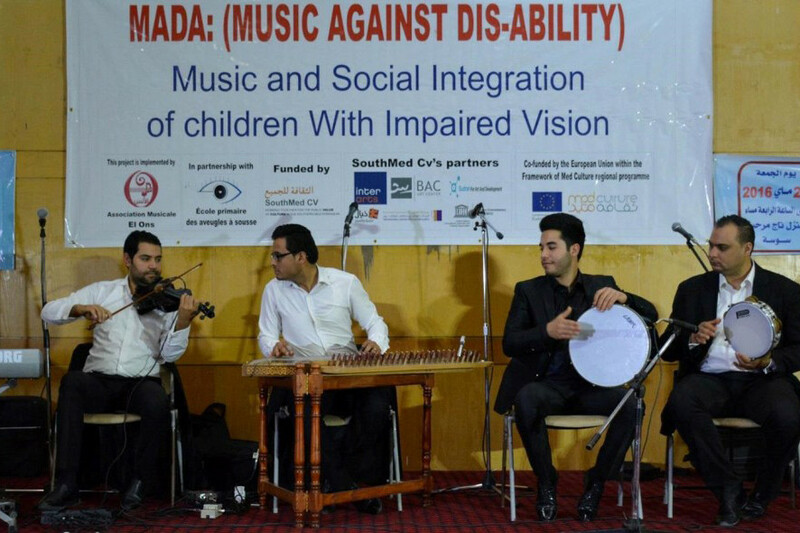 To facilitate social inclusion for visually impaired children in Tunisian society through music is the main objective of “MADA´´ (Music Against Dis-Abilities), the first Project of SouthMed CV to be completed. 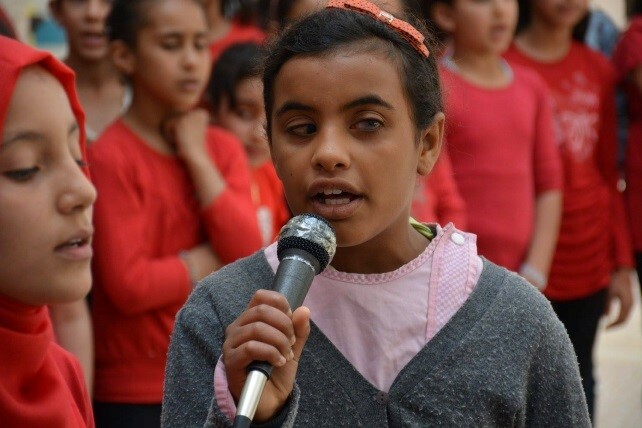 MADA aimed to provide these children with an artistic tool to get in touch with the world around them, as well as to develop their musical skills. 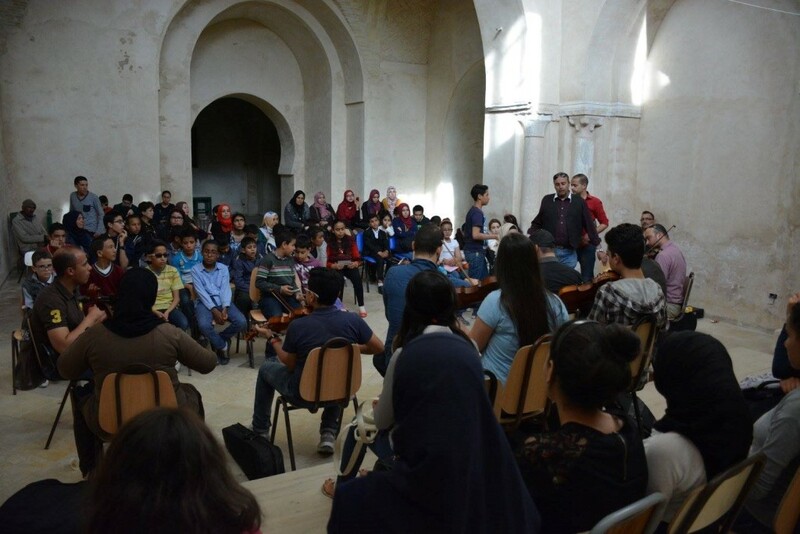 The project was led by “Association Musicale El Ons”, in partnership with “Ecole Primaire des Aveugles”, both based in Sousse, Tunisia. For 5 months, from January to May 2016, El Ons worked with 40 students from the school on musical training and integration with other children. The children were divided into 4 groups: singing, percussion, strings and keyboard instruments. 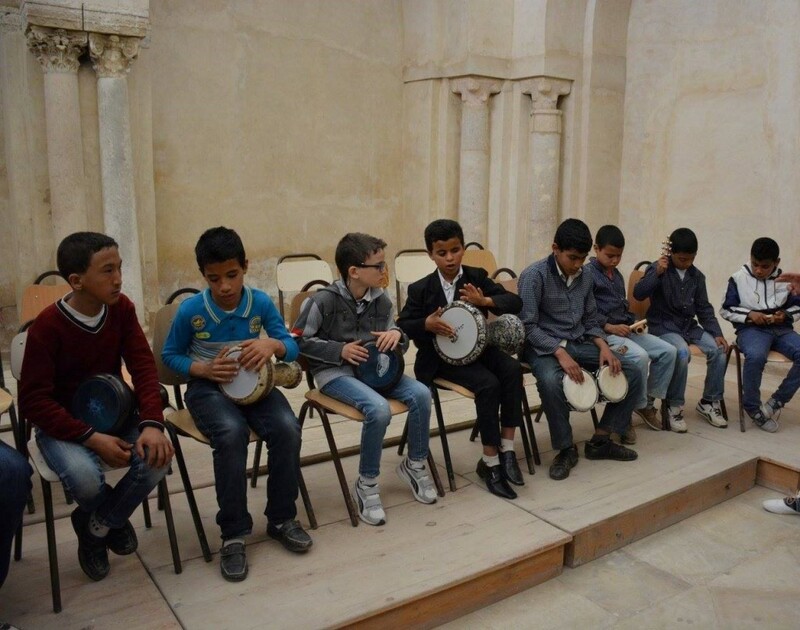 During the course of the project, children were given courses and workshops, by music teachers who received training specifically for this project. Other than the classes and workshops given to the children, the activities included their participation in the yearly festival organised by El Ons ´´le petit musicien´´, as well as their attendance to music classes in the local of El Ons, with the students of the association. 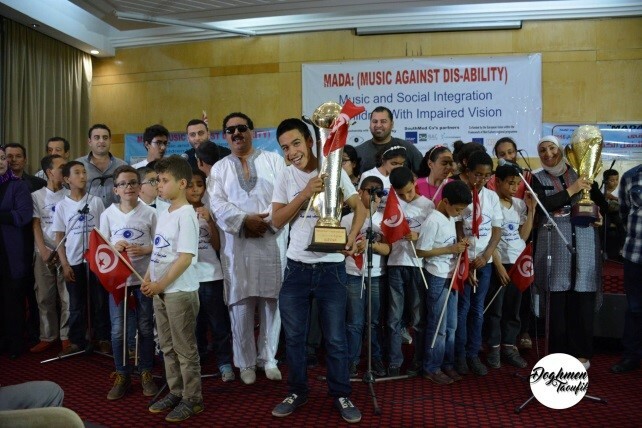 Also they participated in a music festival organised by the Ministry of Education in Kairouan in February, where Ons el Bahrouni, one of the children from MADA, won first prize for the singing category. To end the project, a final performance was given on May 20th by all the MADA students. It was clear at the end of the project that it had reached its main objectives, the children and their parents displayed great amounts of satisfaction, the children´s confidence and enthusiasm grew throughout the project as they felt more and more as an active part of society; this project also helped to reduce violence and isolation among the children and raised their sense of citizenship. SouthMed CV is co-funded by the EU within the framework of the regional programme Med Culture.